The day has come. 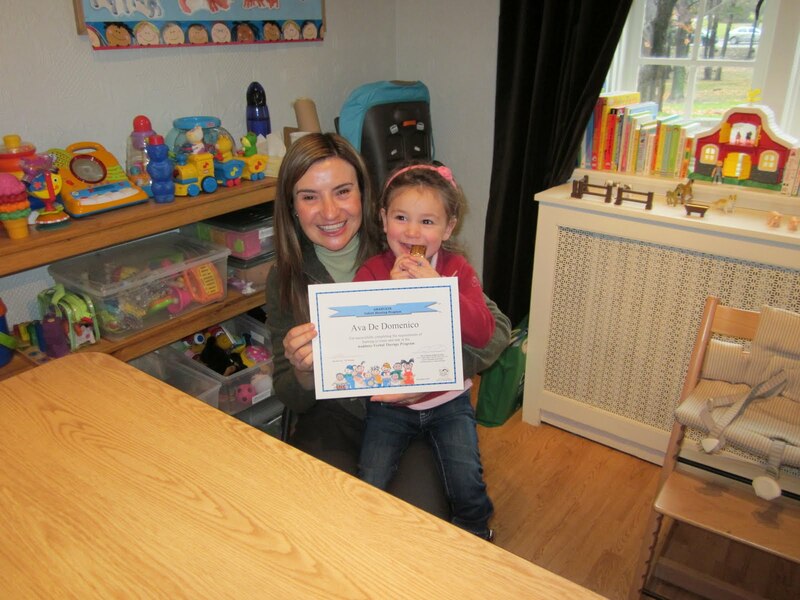 Ava graduated from auditory verbal therapy today! Really, she is finished with therapy. See her beaming therapist Mila de Melo in the photo, proudly holding Ava's Certificate of Completion. What this means is Ava has achieved the ultimate goal of auditory verbal therapy, which is to catch up fully to a hearing child of Ava's age in expressive language (speaking) and receptive language (understanding speech). In fact, Ava has surpassed those goals. Ava's expressive language is in the 88th percentile. Her receptive language is in the 97th percentile. Overall her language is in the 91st percentile. What does this mean? Today Ava is 2 years, 5 months old; she's almost 2 1/2. Yet, Ava speaks like a hearing child that is 2 years 11 months old. She understands language like the average 3 1/2 year old hearing child does. Overall, her language is that of a 3 year 1 month old hearing child. And what is even more astounding is Ava has only heard sound for 1 year and 7 months - she didn't begin to hear until her cochlear implants were activated when she was nearly 10 months old. It is an understatement to say how proud I am of her! I am so happy and grateful for our blessings. All our hard work has paid off and the reward is so huge. There are so many people I have mentioned in past posts who were instrumental in guiding us in Ava's journey. However for this post, I dedicate to Ava's loving auditory-verbal therapist ("Auntie") Mila de Melo. Mila, you gave us the tools to help Ava learn to listen and talk and she does this beautifully. We are blown away and Ava's achievements are beyond what we ever expected and hoped for. Thank you Mila, from the bottom of my heart. We will never forget you. The wonderful thing about Ava's graduation is now we can just let her grow and develop as any hearing child would. She will continue to learn and acquire language naturally. 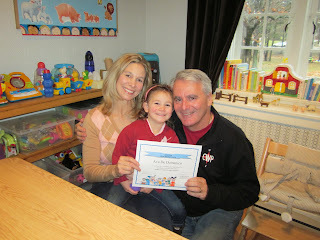 Our school board provides the services of a Teacher of the Deaf to monitor Ava during the preschool years. The teacher will prepare an Individual Education Plan for Ava once she starts preschool, to make sure Ava will have all the supports she needs to be successful in school. I will, of course, continue with this blog, to document Ava's development from a toddler to school age child and so forth, along with the challenges yet to come. My attitude? Bring it on! We are as ready as ever. I read somewhere that CI recipients may have some trouble appreciating music. Clearly with Ava this is not the case. She loves music and she loves dancing. Here are two short videos. In the first video, Ava is about 21 months old and has been hearing for just under a year. 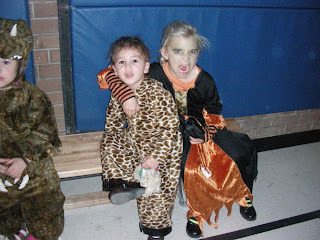 The second video was taken at her older sister's class Hallowe'en dance this year. She is almost 2 1/2 and hearing for 1 1/2 years. The video is really dark but about 10 or so seconds into the video you will see her older sister (in witch costume) enter the gym and hug a little dark figure in a giraffe costume (Ava) dancing up and down.